Gaoyuan is an ISO9001:2000 certified automatic asphalt distributor manufacturer, located in China. With years spent expanding our product line, we are able to offer a wide range of asphalt distributors, to suit each customer's needs. On this page, we provide two models of our automatic asphalt distributor: HGY5080GLQ and HGY5121GLQ. Spray media hot (modified) asphalt, cutback asphalt, emulsified asphalt, etc. 1. The automatic asphalt distributor is constructed with a JAC Junling chassis. 2. Each asphalt nozzle undergoes strict accuracy testing to realize spray consistency. 3. Each asphalt nozzle can be separately controlled manually or automatically. 4. 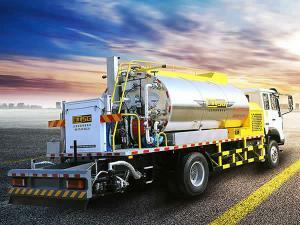 Asphalt spray can be controlled in the cab of the asphalt truck or on the operating platform at the end of vehicle. 5. Spray volume is automatically regulated by PLC according to parameter inputs and it is adjusted with variations in vehicle speed. Each nozzle is kept at a constant pressure ensuring an even, accurate spray with a precision error of ±2%. 6. Imported heat-resistant seal elements and special structures guarantee reliability of dynamic seals in each system. 7. The hood of the asphalt heater features an optimized design that prevents damage caused by the eruption of overheated asphalt through the top opening. 8. All nozzles, pipelines and asphalt pump are heated by heat transfer oil in circulation to ensure asphalt runs smoothly. 9. Leftover asphalt can be evacuated from the automatic asphalt distributor using a gravity emptying device without the need of running the asphalt pump. 10. Ladders and handrails are equipped for easy and safe operation. 11. 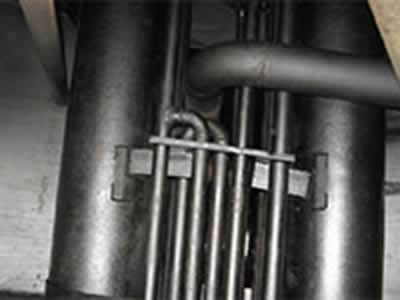 All pipes are heat insulated for operator safety and energy efficiency. 12. 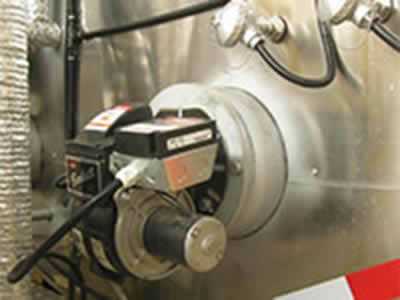 Efficient heating system shortens auxiliary working hours and guarantees proper spray temperature. 13. 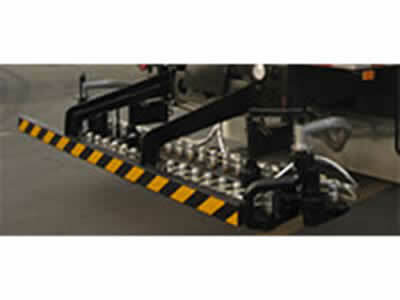 The asphalt spray bar is a three-section foldable structure. The bar moves up, down, left and right to expand spray area and avoid obstacles. 14. A manual lance can be used to spray where the nozzles cannot reach. 15. 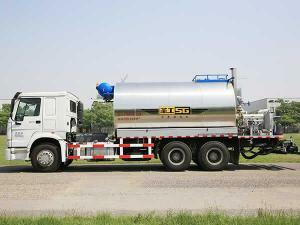 The asphalt tank is equipped with deposit discharge groove inside, a level indicator, alarm and security devices. 16. There are warning signs and lighting installations for nighttime operation. 17. Water-spray device prevents asphalt from sticking to the tires. 18. Hyperbaric air and a little of diesel oil can get rid of the leftover asphalt after construction, which is easy and quick, as well as energy-saving. 19. Durable anti-corrosion insulating layer realizes a static insulation index less than 12℃/8h. 20. Stainless steel board packing is anti-corrosion and durable. The construction of the HGY5122GLQ automatic asphalt distributor consists of a tractor component, asphalt spray system, air circuit system, water circuit system, speed measuring system and a power supply system. 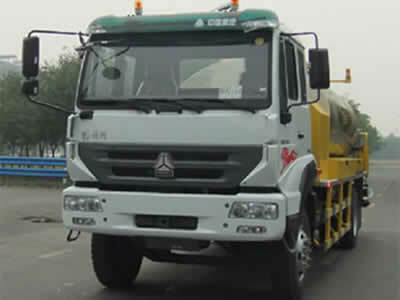 The tractor unit of the automatic asphalt distributor adopts a Sinotruk Huanghe chassis, which has the advantages of a large bearing capacity, low fuel consumption, easy operation and a reliable breaking system. 1. The coil realizes heat oil circulation from the heat oil furnace inlet and outlets through the heat oil pipeline to heat the asphalt in the tank and pipeline. 2. 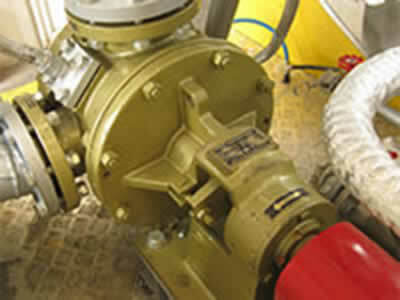 The hot oil pump forces the heated oil throughout the system. 3. 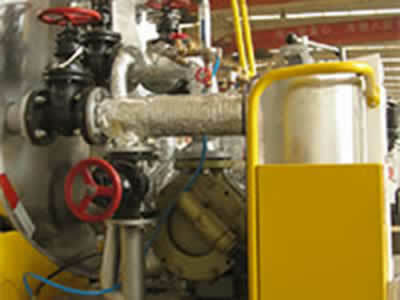 A fire tube boiler is the heat source used to raise and maintain the temperature of the oil in circulation. 4. 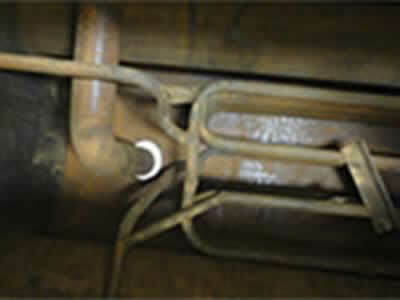 An expansion tank supplies enough space for fluid expansion when the oil is heated. Water and air from heated oil are separated and eliminated through this tank. The air hole in this tank bridges the heat oil system and external space to make an atmospheric system with low cost and safe performance. 5. 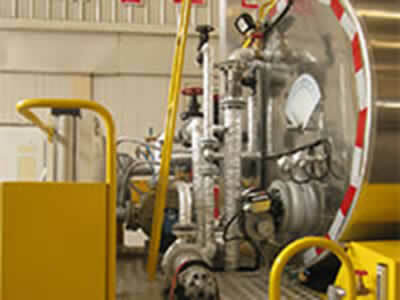 An imported diesel dual burner is installed to heat the HTF interlayer of the tank fire tube. All the nozzles and asphalt pipes are heated by HTF cycles to ensure the smooth cycle of asphalt. High heating efficiency and short preheating standby time reduce the auxiliary time of construction. The asphalt spray system for the automatic asphalt distributor consists of the asphalt tank, pipeline, pump, filter, and spray unit with nozzle carrier lifting device. 1. The asphalt tank has an insulation layer with thickness of 100mm to preserve the temperature of heated asphalt, improving heating efficiency and reducing auxiliary construction time to maintain appropriate spray temperature. 2. The asphalt pipeline is used to deliver asphalt to the nozzle shell or start major and minor cycles: asphalt tank – pipeline – asphalt pump – pipeline – asphalt tank. 3. 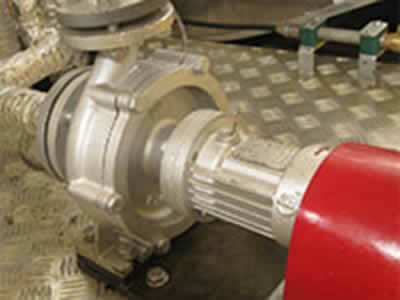 The asphalt pump is a power unit that pumps asphalt through the pipeline of the system. 4. An asphalt filter element is equipped to remove foreign matter from the asphalt, protecting the pump. 5. The spray unit of the automatic asphalt distributor has a fast acting piston that completes the turning on/off of the nozzles by means of its straight reciprocating motion. Each nozzle is controlled by a pressurized cylinder. 6. The nozzle carrier lifting device has two lifting cylinders to control nozzle carrier height. The air circuit system consists of an air source (tractor unit), distribution air bags, a control valve, air tube, solenoid valve, and cylinder. The tractor provides plenty of air directly, which can guarantee the consistent working of the power system, chip spreader, asphalt spray and asphalt valve group and waterway system. The water circuit system is composed of a water tank, filter, solenoid valve, control valve, water pipe, water spray frame, and water nozzle. The water nozzles are installed on the upper part of each tire, which effectively prevents asphalt adhesion on the tires during operation. 1. Automatic control of the spray volume and walking speed according to the spray capacity. 2. Spray volume can be changed via computer in the cab, the procedure can automatically adjust itself. 3. The accurate control of the asphalt pump displacement makes the spray volume error ±1.5%. 4. Easy switch between manual and automatic modes. 5. The asphalt and chips spray width can be easily adjusted. 6. The automatic asphalt distributor can be controlled in cab or at the back operating platform of the equipment. The speed measuring system primarily consists of a power supply, radar detector, signal conversion device and an output device. It uses a 24V DC inverter power supply to prevent any electrical system overload. The system has advantages of an outstanding anti-interference capability, water resistance, and shock resistance. The power takeoff has key parts (hydraulic pump, hydraulic motor, lifting hydraulic cylinder, asphalt pump, heat oil pump, gas control valve, proportioning valve, automatic control system, velocity radar, etc.) 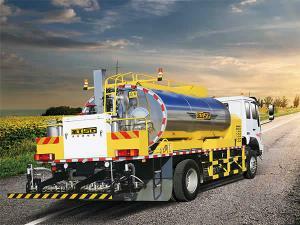 that are all qualified to guarantee the reliability of the automatic asphalt distributor and prolong service life. 1. This equipment reduces the construction labor intensity, budget constraints, and resources, and it improves work efficiency and quality. 2. The automatic asphalt distributor gets its force from the tractor power. 3. Excellent insulation, anticorrosion abilities and durability. 4. This equipment uses the high precision nozzles to ensure spray consistency. 5. The equipment operation can be controlled remotely but also has onboard controls. Gaoyuan automatic asphalt distributor is a result of our extensive experience, which is designed with the present road conditions in mind. 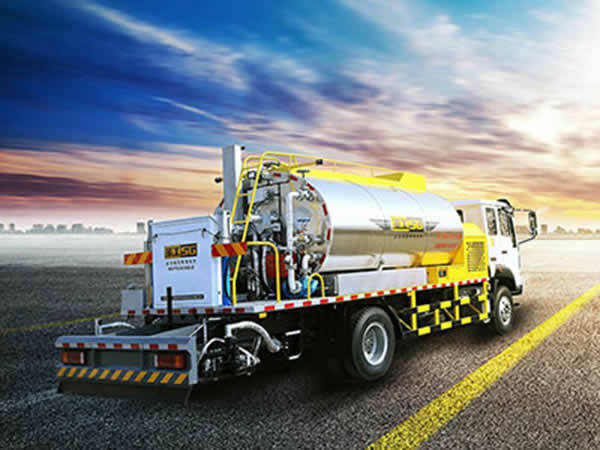 As it is economical, practical and easy to operate, our asphalt distributor is widely used in spraying emulsified asphalt, diluted asphalt, hot asphalt, hot modified asphalt and various binders. On the basis of introduced advanced technologies both domestic and abroad, this distributor add some humanized designs that ensure technical content of construction quality and improve construction conditions and environment. 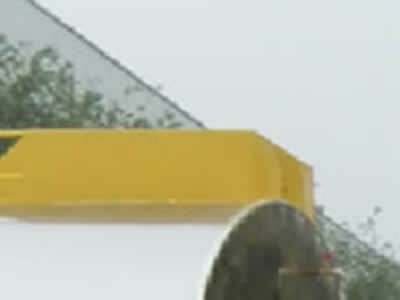 Heat oil pipe is equipped in asphalt pipelines. Heat oil internal heating method guarantees liquid running smooth and prevents asphalt from coke burning. In the process of manual spray, the rotation indicator reads asphalt pump rotation speed. The operator could calculate the corresponding vehicle speed and asphalt rotation speed to different spray volume according to our specified formula, so as to guarantee uniform spray volume. In the process of automatic spray, the operator just set spray volume in the console and start velocity meter, and then the automatic control system could regulate asphalt pump rotation speed according to the vehicle speed, so as to guarantee precise and even spray. Its reasonable designs guarantee the asphalt spray uniformity. This product gets through the strict detection of our operators and enjoys stable and reliable construction performance, and is known as ideal economical road maintenance equipment. Gaoyuan 4m3, 6m3 automatic asphalt distributors are primarily used for upper and lower seal layer, prime layer, asphalt surfacing, asphalt penetration surface, fog seal layer, and so on. 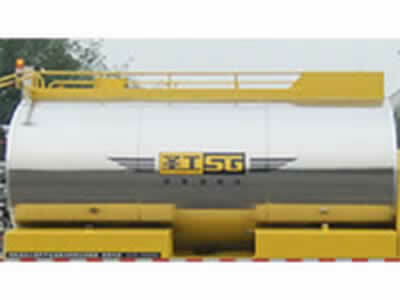 In addition, they can also be used to transport liquid asphalt and other heavy oil. 1. Designed using advanced temperature maintenance technology, this automatic asphalt distributor has an outstanding oil heating system. The internal heating system keeps the asphalt hot so that it remains malleable while simultaneously preventing it from burning. 2. During manual spraying, the automatic asphalt distributor displays the rotation speed of the asphalt pump. The operator can use this reading to alter vehicle speed or the rotation to achieve a uniform coat of asphalt on the surface of the road. 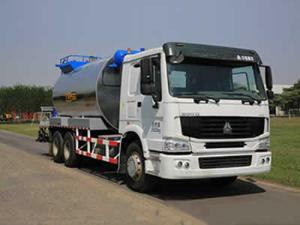 The asphalt truck also has an automatic spray option which regulates the vehicle and asphalt pump speed. 3. These features help the operator achieve uniform asphalt coatings without any errors. Our automatic asphalt distributors are chosen for their reliability and high quality construction performance. In addition to asphalt distributor, we at Gaoyuan offer many other types of road maintenance equipment, like synchronous chip sealer, micro surfacing paver, road sweeper machine, and more. Having the advantages of being reliable, efficient, cost effective and safe to use, our products are CCC, CE certified and are increasingly popular with customers from Poland, Russia, Indonesia, Vietnam, Kazakhstan, Kyrgyzstan, Nigeria, Angola, Congo, Uganda, Mali, among other countries. We look forward to serving more customers worldwide. 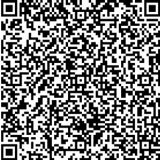 If you would like to learn more about our products, please feel free to contact us.